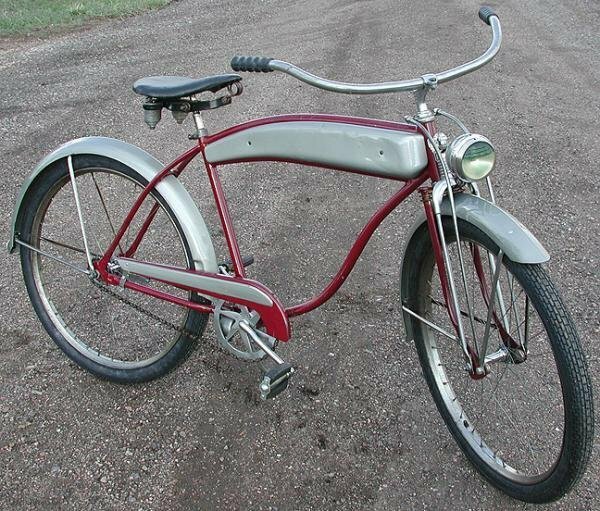 Look at this 1948 Air Cruiser Hawthorne Ballooner Bicycle. 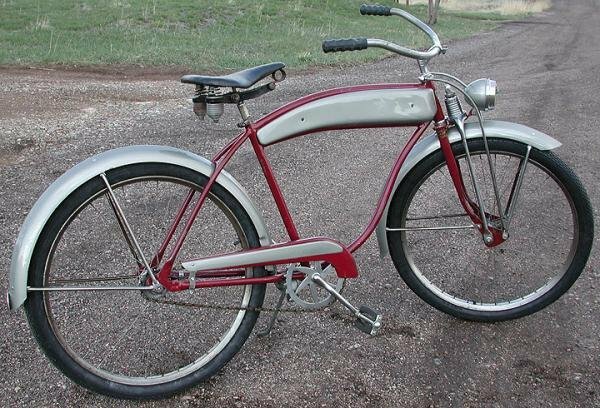 This Bicycle, Manufactured by DP Harris, Commonly known as a Rollfast, was made for the Montgomery Ward Department Stores. 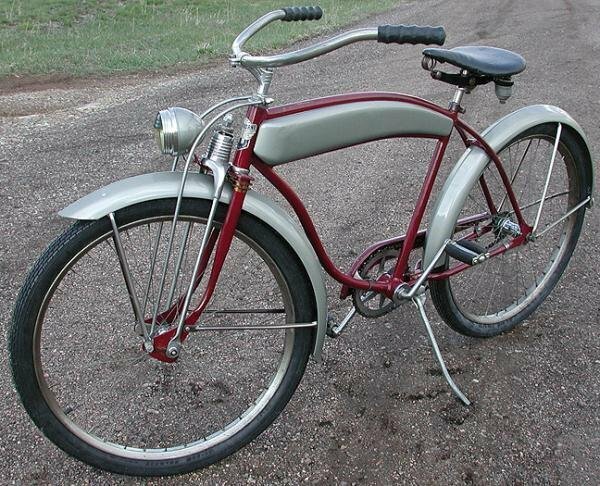 Hawthorne was the Name of the Bicycles carried by Montgomery Ward. This Bicycle Has the Rare, Tin, Postwar Badge that was Only Used for 2 Years Following World War 2 . 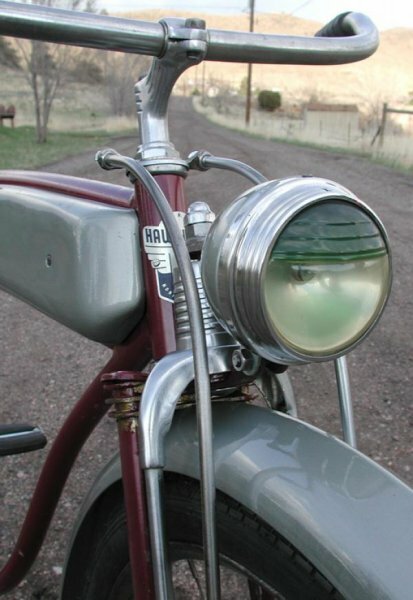 This Bicycle has an Incredible, Original, Working Delta Light and a Unique, Early, Post War, Rollfast Springer Fork. The Coil Spring Fork provides Cushioned Comfort and a Floating Ride. 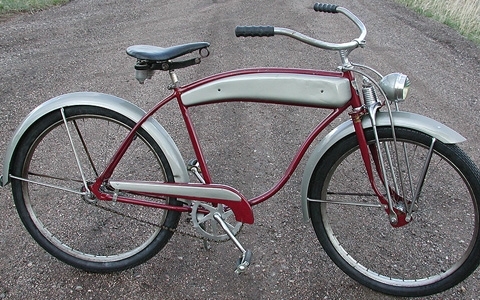 The Air Cruiser Red is the Original Paint. The Silver was the Correct Color for the Bicycle and Appears to be Repainted by a Previous Owner. Overall, the Patina and Look of the Bicycle is Excellent. This is a Full Size Men’s Adult Ballooner Bicycle With Big, Cushy, New 26″x 2.125 ” Brick Pattern Ballooner Black Wall Tires. It has Super Nice, New, Departure Hubs laced to Lobdell Drop Center Rims. It has a Unique, Working, Delta Light. 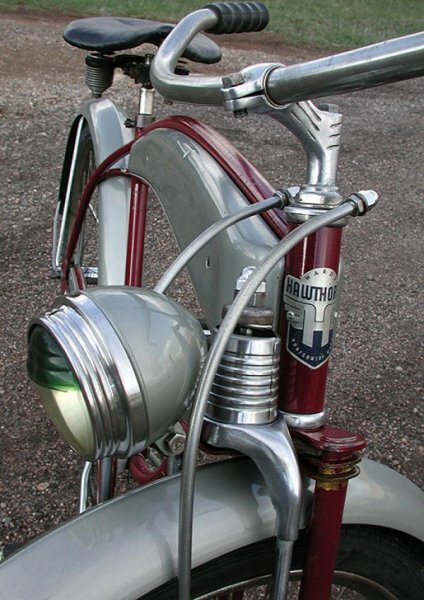 This Hawthorne has Sturdy, Gothic, Mudgaurd Fenders and a Really Nice Swan Stem. The Seat is a Restored Original. I Thought this Bicycle should’ve had a rack, but the Original Paint shows no Evidence of a Rack used in the past.